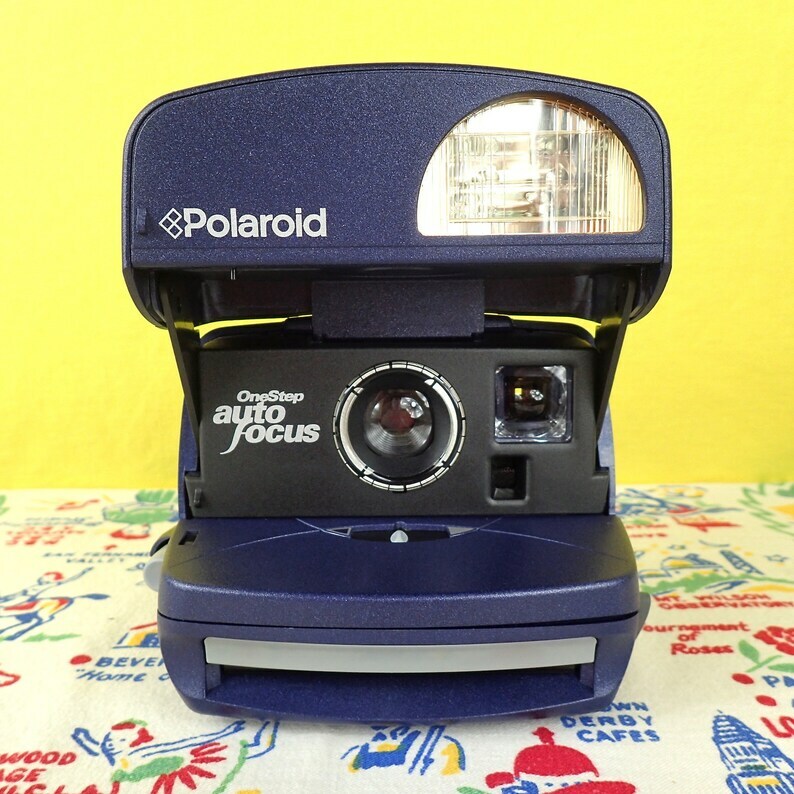 This 4th generation Polaroid OneStep AutoFocus was introduced in the 1990s. This has an non-SONAR autofocus feature, which also does not allow for the darken/lighten switch to slide. The camera is turned on by swinging the flash portion up to face forward. A light indicates the flash is charging and will change color for "ready." This camera comes with a bag AND a manual!!! This is a used camera and has some scuffs. Also the handle is broken, as happens often with this model. I have tested and cleaned this camera and it works well; please see the test photo. When buying Polaroid film, be sure to buy the Polaroid 600 film and see my FAQ below. You can add a pack of fresh Polaroid film to this order for $18. Buy some extra packs or new tongue installation from my shop, too! Again, this camera has been tested; photos eject correctly, flash works, and pictures are good.